The administrators of insolvent UK leisure carrier Monarch Airlines have won their legal appeal to keep possession of some of the airport slots previously held by the carrier. The ruling by the UK Court of Appeal in London overturns a lower court’s ruling earlier this month that Monarch’s slots should be returned to the slots “pool” administered by Airport Coordination Ltd. (ACL), for redistribution to other carriers. ACL handles slot allocations for 38 airports in seven countries. The airline’s administrators, KPMG, originally went to court to seek clarity on whether they still had allocation power over the insolvent airline’s slots. The Nov. 22 decision will allow KPMG to auction off Monarch’s slots at London Gatwick and London Luton, which hold considerable value; UK press reports have talked of figures of £60 million ($80 million). 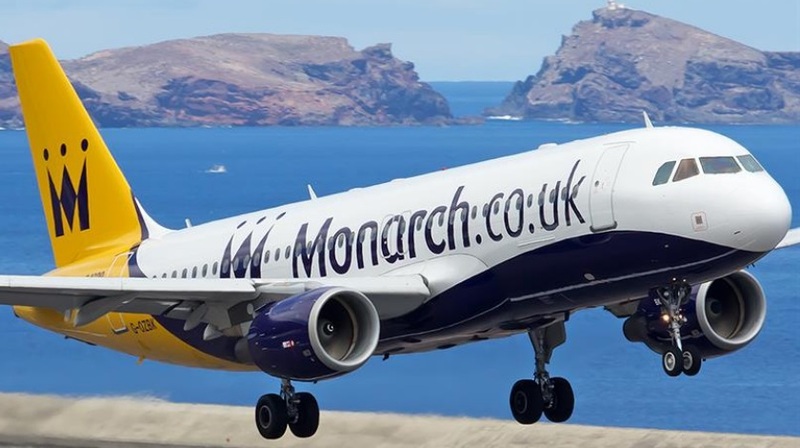 Funds raised by the sale will then be available to help pay off Monarch’s creditors, including its majority shareholder, private investment company Greybull Capital. “We will now progress the slot exchange transactions we have underway, whose buyers will be announced at completion,” partner at KPMG and joint administrator of Monarch, Blair Nimmo, said Nov. 22. “We must stress there will be no immediate distributions to any creditors; indeed our statutory proposals to creditors summarizing the status of the administrations have not yet been published. In a statement, ACL echoed Nimmo’s comments on the significance of the legal decision, adding that it was concerned about its future implications. ACL had taken the view that it was not consistent for slots to be allocated to an airline with no pilots or aircraft, whose AOC had been revoked and which had ceased to have any realistic prospect of operating again. “The fact that a defunct airline is able to obtain and trade slots sets a worrying precedent for the future, and one which will give cause for concern to airlines and airport,” the company said. However, ACL said it would not lodge its own appeal against the latest decision. “ACL … will now allocate the slots at Gatwick and Luton to the administrators. Slots at Manchester and Birmingham, which ACL had already put into the pool and re-allocated to airlines after the [earlier] Divisional Court’s ruling and before the appeal, are unaffected by this judgment. LCC easyJet, which shares Monarch’s former base at London Luton and which had a keen interest in the fate of the slots, declined to comment on the legal decision.